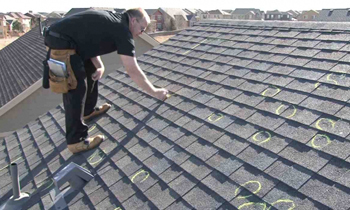 Roof inspection in Columbus, OH is a fundamental form of preventative maintenance which homeowners should have performed at least on a yearly basis. This assessment, when completed by the experienced and professional Columbus roofing contractors here at Next Level Exteriors, has been proven to save a significant amount of money for homeowners. These savings come largely as a result of the Next Level Exteriors team’s skill for identifying signs of trouble long before they result in the need for costly roof repairs in Columbus, OH. This early identification of any problems often makes the difference between a minor problem being addressed efficiently and affordably and serious conditions developing which may easily lead to an unhealthy, unsafe state for your home. All of these are signs that serious, lasting, and often quite expensive damage has begun to take place and the experienced professional Columbus roofing inspection contractors here at Next Level Exteriors can quickly identify them and save you the stress and money which would be needed if the problems were left to grow worse. If you’re interested in having a professional roof inspection in Columbus, OH performed at your home simply take a moment to call (614) 423-6787 to schedule a free consultation and estimate with your local Columbus roofing inspection contractors here at Next Level Exteriors.